Rachel Butler, 17, of West Chester, OH, uses the SuperBetter app to help her recover from a concussion. A study shows that daily, limited use of the app, which includes useful tips for recovery, improved symptoms in teenagers. (COLUMBUS, Ohio) – In an effort to minimize activity and allow the brain time to rest and heal, doctors advise patients who’ve suffered concussions to avoid screen time on computers, televisions, tablets and smartphones. But during a recent study, researchers actually encouraged teenagers to use an app on their smartphones specifically designed to help them recover. And the results were encouraging. By contrast, among teenagers treated from concussions who didn’t use the app, only half reported improvements in symptoms. The other half said their symptoms got worse and there was no reported improvement in optimism about their recovery. 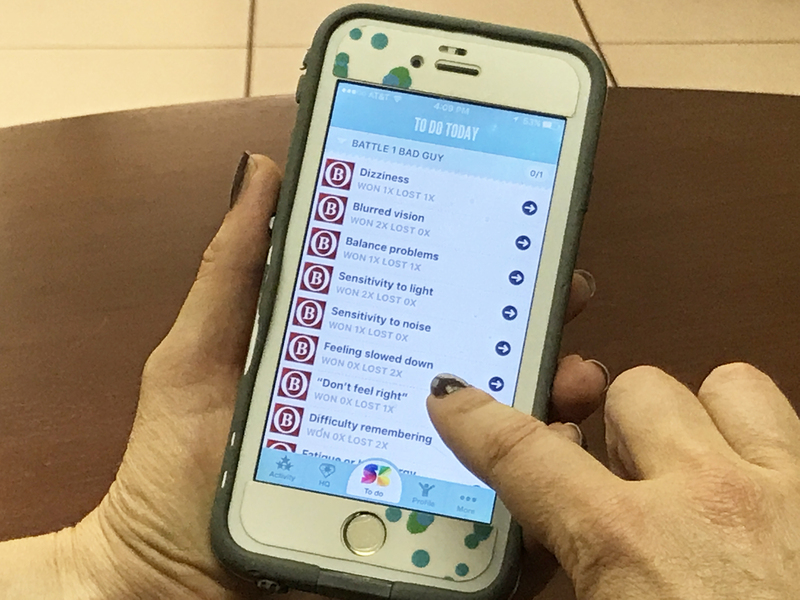 “The key to the app is that it encourages patients to become active participants in their recovery and gives them specific tasks to accomplish in order to better manage their symptoms,” she said. The app, called SuperBetter, casts the patient as the hero in an ongoing game about their recovery story, requiring them to battle foes like dizziness and headaches along the way. It also allows patients to invite friends and family to follow their recovery through the app and offer encouragement. 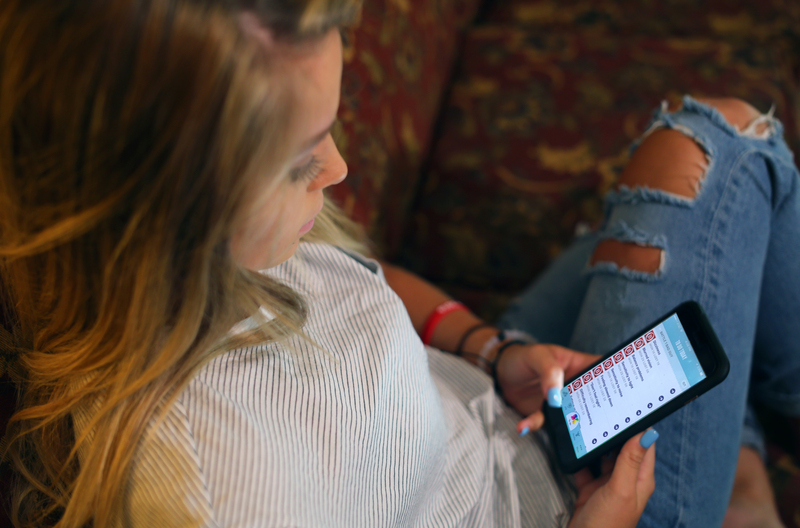 Rachel Butler, 17, uses the SuperBetter app to log the progress of her recovery after suffering a concussion. A study found that teens who used the app had significantly improved symptoms and optimism for recovery compared to those who received standard therapy. 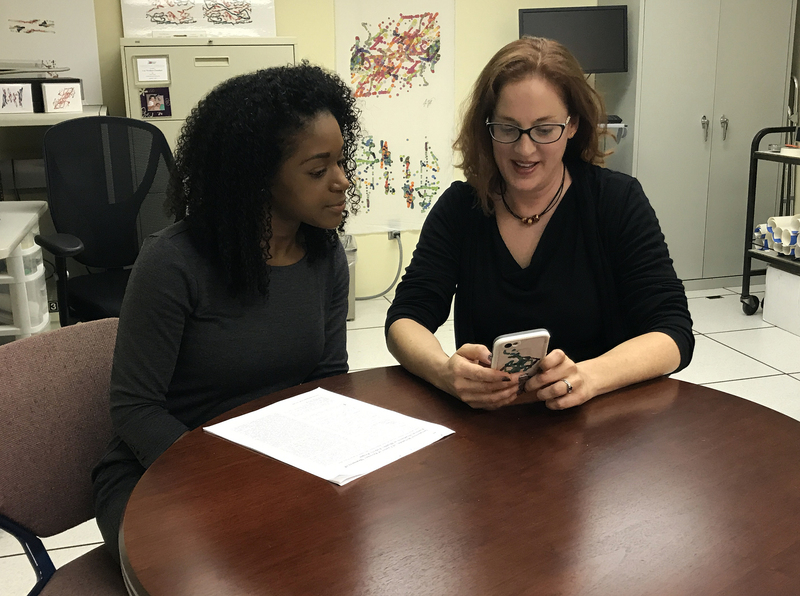 Researcher Lise Worthen-Chaudhari (right) tests out the SuperBetter app at The Ohio State University Wexner Medical Center with colleague, Courtney Bland. In a recent study, researchers found that daily, limited use of the app significantly improved concussion symptoms and optimism for recovery in teenagers. An app designed to help improve the symptoms of a concussion was shown to have significant benefits when used by teenagers. 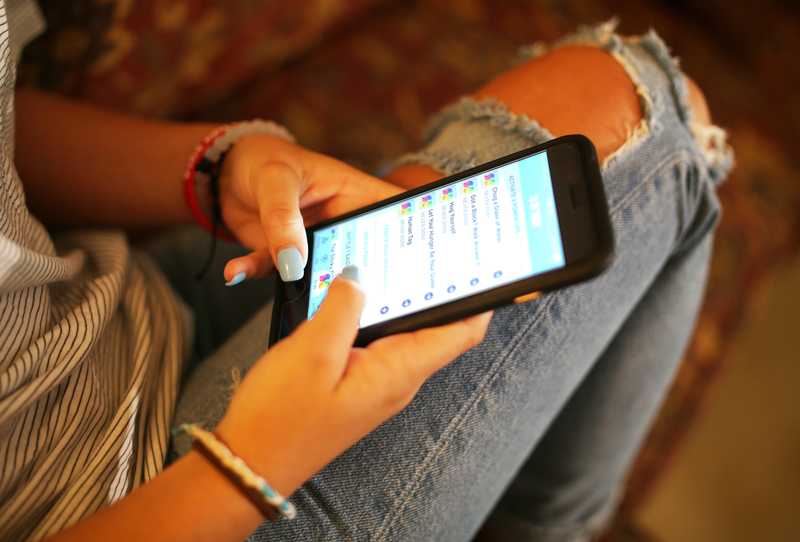 A recent study found that symptoms and optimism for recovery improved greatly in teens who used that app for a limited time daily, compared to teens who didn’t use the app. Doctors advise patients who’ve suffered a concussion to avoid screen time during recovery. But an app designed specifically to help overcome the symptoms of a concussion is proving helpful. 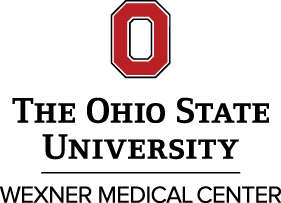 The app, called SuperBetter, was tested by researchers at The Ohio State University Wexner Medical Center who found that teens had improved symptoms and more optimism for recovery when using the app.